Gili Air is one of favorite marine tourist destination in Lombok.This island has beautiful panorama, just like any other island in Lombok. The population of the island is not too large, it is only about 1,800 inhabitants. The island has unique cultures with many local inhabitants, including Sasak, Bugis, Mandar and Makassar. The various inhabitants make the island unique and interesting. Although the inhabitants are from various tribes, they can live in harmony. The panorama and the local cultures have attracted many tourists to visit the island. Each year, the number of tourists visiting to the island both domestic and foreign increases. This makes the island become more popular. Gili Air is located in the western part of Lombok Island, West Nusa Tenggara, Indonesia. It is one of the three Gilis which is very popular (Gili Air, Gili Trawangan, and Gili Meno). 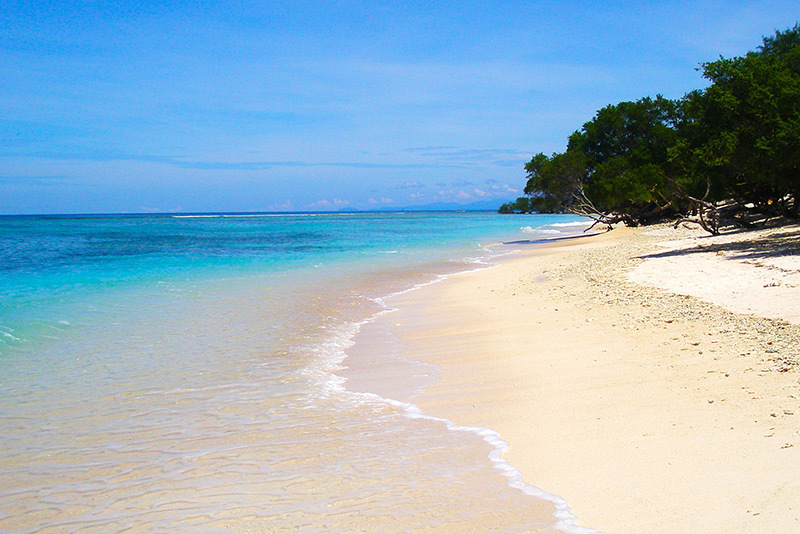 Gili Air is one of the closest islands to the mainland of Lombok. To reach the island is easy, you can take from Mataram town, by the land transportation to the Bangsal port for about an hour. From Bangsal port, you can cross by motor boat approximately 15 minutes. You can go by public boat transportation or charter a private boat. You can also cross from Senggigi Lombok for about an hour. In Gili Air you can do many activities such as; Snorkeling and diving. The area for snorkeling is situated in the south east and along the north east parts of the island. You can do adventure by jump into the water and see the beautiful life of its underwater creatures. Colorful fish and coral reef are found in its underwater. Snorkeling and diving will be challenging experience for you. If you choose to do scuba diving, there are some diving operations on all the islands. There are dive centers in the island island, such as Manta Dive, Dream Divers and Blue Marlin. There are also training for beginning divers. Ask for a guide to lead you when you dive in this island. So, please feel free to visiting this beautiful Gili Air in Lombok.